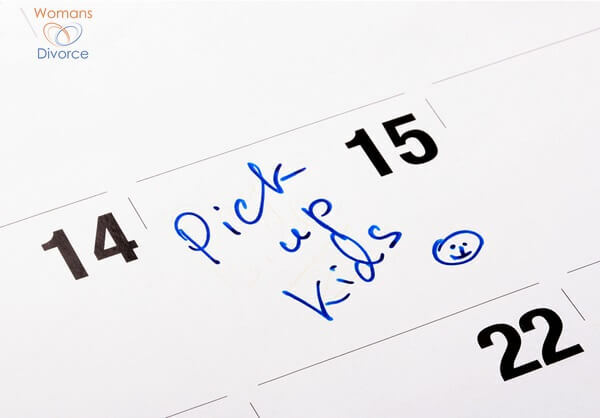 Using a parenting plan calendar can help divorced parents keep track of not only visitation schedules, but the day-to-day routines of their children. Even if you get along well with your ex, it's easy to forget to inform them about schedule changes, sports practices, and the like. Using an online co-parenting calendar to track scheduling helps keep everyone up to date and aware of what is going on, as outlined in the following article. Whose Day Is It Today??? Keeping track of children’s residential schedules is often a source of conflict between separated parents. So too is communicating simple things such as doctor’s appointments, parent-teachers meetings and the like. Changes to children’s residential schedules and missed appointments often serve as a flash point particularly with separated parents who hold resentment between each other. As the anger from miscommunication on these matters escalates, the children then become the emissaries and messengers between their parents as they are positioned to deliver messages back and forth. The children’s anxiety raises proportionate to the temper and anger of the parents. Their ability to concentrate on tasks such as schoolwork is compromised as their concern turns to their parents’ distress. Enter the Internet. Several websites have emerged offering the new millennium approach to help parents keep track of schedules and to facilitate their communication. For a reasonable fee, parents can subscribe to a parenting plan calendar service that stores the residential schedule, keeps track of appointments and expenses and will even send out email reminders of their children’s events. The best of these programs can even help parents establish their schedule and help parents project out through the years to see when, according to their schedule, other events such as holidays or birthdays occur. The advantage for many is that it helps them plan well in advance and keeps them on track along the way. As parents are kept on track, there are naturally a few less issues to fight about. Some of these programs offer a slew of different functions including file sharing, picture swapping, expense tracking, contact lists, reminders and more. However, parents are advised to consider their real needs as the more a service offers, the more overwhelming the program can be. For most users, scheduling, appointment reminders, mutual communication and perhaps expense tracking is all they really require. Further, some programs require a fee before service while others allow a free trial period. The benefit of the free trial period is that it allows the user to get familiar with the program before purchase. Those programs that only offer an example can be made to appear far easier to use than may be the case. These programs can be a real service to just about any separated parents. However, they likely are of even greater use with separated parents prone to conflict. As well as providing all of the above-mentioned features, it helps keeps distance between parents who if communicating directly, may see their own behavior degenerate. Further, the service provides for accountability because neither parent can claim not being told about an event if it has been entered into the program. An electronic record dates entries and events and provides a detailed history if ever these items fall to dispute. Having trouble keeping track of your children’s residential schedule? Then let an Internet based parenting plan calendar lend a hand.